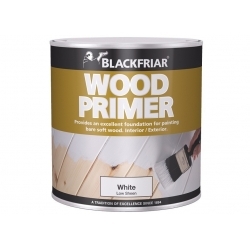 Blackfriar UV Wood Primer is designed to bind the wood grain to provide superior protection against UV damage, which is the main cause of varnish failure. Enriches and protects your exterior home and garden wood. 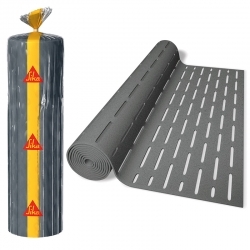 Sika Silent Layer Mat is a high quality polyethylene foam mat available in two depths, 3mm and 5mm. 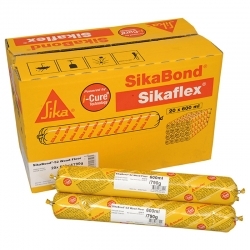 It is used in conjunction with SikaBond MS Wood Floor Gun Grade, SikaBond 52 Wood Floor or SikaBond AT Universal to deliver high performance insulation and adhesion for a variety of flooring. Jotun Visir Pigmented Primer is a special water based, water repellent primer that contains powerful fungicides against wood rotting fungi, and film fungicides to protect against surface moulds. 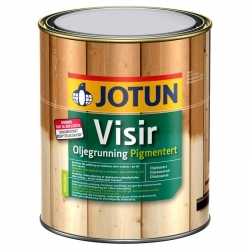 Jotun Visir Pigmented Primer binds loose wood fibres and provides a good surface for further treatment. An alternative to sanding by chemically removing any oil or wax residues on a wooden surface without damaging the wood. 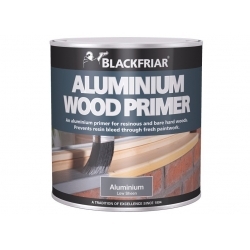 Blackfriar Aluminium Wood Primer is for hardwoods, to prevent bleed through to fresh paintwork. Specifically formulated for painting new or old bare hard or resinous woods. A solvent borne primer-surfacer that is a moisture regulating paint for indoor and outdoor timber work. Use as a primer for different types of wood and well cleaned, well adhering old coatings. Jotun Visir Clear Primer is a special water repellent primer that contains powerful fungicides against wood rotting fungi, and film fungicides to protect against surface moulds. 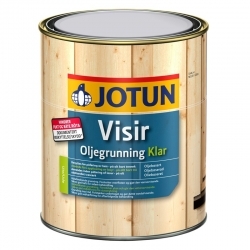 Jotun Visir Clear Primer binds loose wood fibres and provides a good surface for further treatment, and contains added agents to protect woodwork against dangerous UV light. 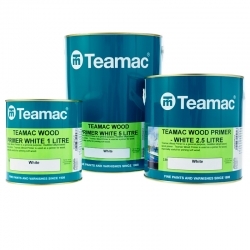 Teamac Wood Primer is a general purpose, modified alkyd based wood primer for wood, especially useful for priming soft wood. Overcoatable in 16 hours, it is compatible with Teamac Marine Gloss. 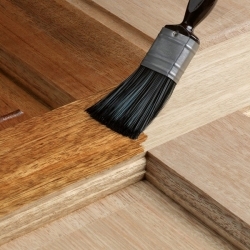 Painting knotty and resinous areas is no longer a problem with Blackfriar Patent Knotting.&nbsp;It&rsquo;s made from pure shellac and methylated spirit and is ideal for new wood or wood stripped or burnt-off prior to priming but is not suitable for use with translucent coatings due to its dark orange colour. SikaBond 52 Wood Floor is a gun applied, one component, solvent free, fast curing elastic adhesive for professional use for full surface bonding of solid and engineered wood floors (strips, longstrips, planks, panels, boards), mosaic parquet, industrial parquet, lam parquet, wood paving (residential) as well as chip boards, plywood and OSB can be bonded. 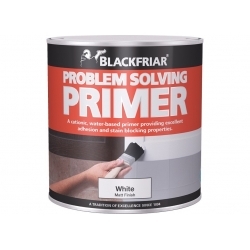 Blackfriar Wood Primer provides the perfect foundation to painted surfaces. Its special formulation makes easy work&nbsp;of new and stripped surfaces, enabling&nbsp;you to over-coat with ease. 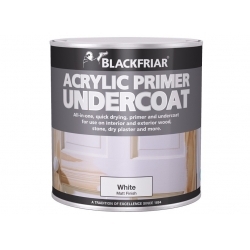 Blackfriar MDF Primer Undercoat is especially designed for use on MDF. It&rsquo;s easy to use and dries quickly so you can prime, undercoat and finish all in one day. It can be overcoated with a choice of finishes including gloss, emulsion and satins. 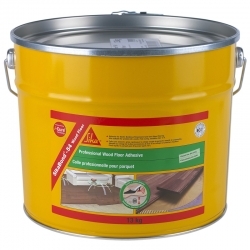 Ideal for use inside and out on bare woodwork, hardboard,&nbsp;masonry, dry plaster and cement. It dries quickly, so you can apply a second coat soon after, enabling you to finish a whole job in one day. A waterbased, moisture regulating primer for long-lasting bare or previously painted indoor and outdoor timberwork. Easy and fast to apply and has excellent flow properties that ensure an even and professional result.